Whether you’re looking for club sparklers, champagne bottle sparklers, nightclub sparklers, led strobe batons, bottle presenters, electronic sparklers, led foam sticks,LED inflatables,bottle glow stickers we’ve got the nightclub supplies you need to create a one-of-a-kind experience at your nightclub, bar,restaurant, concert, grand opening. Take a look at all nightclub supplies products that we have to offer. Contact us with any questions. 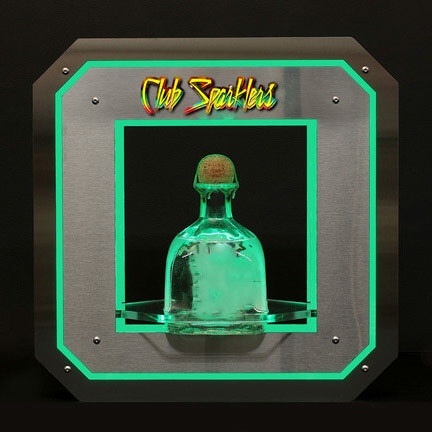 Here at ClubSparklers, we sell top-of-the-line bar and nightclub supplies that you need for creating an amazing VIP experience. Whether you’re running a bar, nightclub, or restaurant, we have the bar products and bottle sparklers, led sparklers,LED strobe Baton,wristbands, LED Bottle Presenters you need for your VIP bottle service, and custom products such as Vip Bottle Presenters, Led Foam sticks,LED Wristbands, Electronic sparklers, Co2 cannon, Poppers, Champagne Sparklers. Our bottle sparklers are safe for use and shine bright to call attention to the tables that know how to party. Regardless of the guest list you have, our products will help you make their experience a unique and fun one. They’ll never forget the night they had with your bar or club when you use our champagne bottle sparklers. Or will they? The most memorable nights are often the most difficult to recollect, but only if they partied right. ClubSparklers is the premier resource for nightclub supplies and bar products. Making sure that you always have a stock of bottle sparklers and other party supplies is integral to the success of your bar or club. As the times change, the demand for a unique party experience grows with every passing day and you want your nightclub to be right there with it. Don’t be caught empty-handed when it comes to VIP bottle service and other aspects of your hosting. We also provide party supplies for birthdays, weddings and bar/bat mitzvahs. Get the best sparklers and other glowing beauties to make your party a night to remember. Whether you’re hosting an event or it’s a Friday night in your establishment, don’t hesitate to equip your bar, nightclub, or party with the premier bottle sparklers,safty clips, bottle presenters, serving trays, led strobe baton, topper, electronic sparklers, champagne gun, led inflatables, light up wristbands, and more party supplies from Club Sparklers. Take a look at the vast inventory of items to make your party unique and amazing with our entertainment team LED Robot, Live Human Table. Thanks for visiting our Clubsparklers site, please join our mailing list to stay updated with our MONTHLY promotions as well as any new products we add!